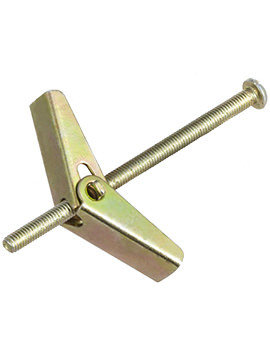 Plasterboard Fixings are a range of different fixings that are normally attached to plasterboard. So how do you fix these fixings to plasterboard walls? There is a variety of fixing available for use on plasterboard. Let’s consider the different types of plasterboard fixings, specially made for fixing to Plasterboard. Drywall screws fasten wallboard to studs. These come with toothy threads and trumpet-shaped heads and also find use in other applications. 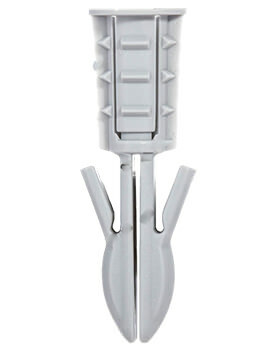 Used without a drill; can be used on both single and double thickness plasterboard. Perfect choice for light switches, electrical sockets, pictures, and timber or metal battens, some bathroom fixtures. Installation is simple. Heavy duty cavity fixings are made from metal and come with metric screw and zinc plating. 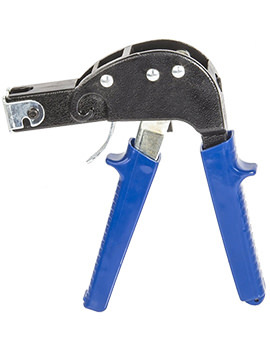 The expanding arms and large contact radius give a higher load bearing capability and safety. These also come with distinctive claws to prevent rotation during installation. Metrical thread enables easy screw-in and a tightly screw up of the fixing. These fixings expand by spring force into any cavity. Fully Zinc-Plated and Yellow Chromated these offer good corrosion resistance. Long Threaded Rods allow large wall thicknesses to be bridged. Nylon fixings come with a slot across the nail head to accommodate the working of a screwdriver blade. It comes with a Nylon plug body for long life and durability. 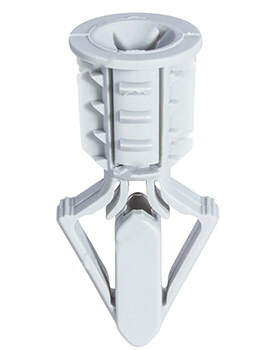 Come with anti-rotation barbs that prevent the anchor from rotating in the hole. Cold bridging is reduced with the nylon sleeves compared with metal fixings. Let’s take a look at how drywall screws fare as compared to woodworking screws. 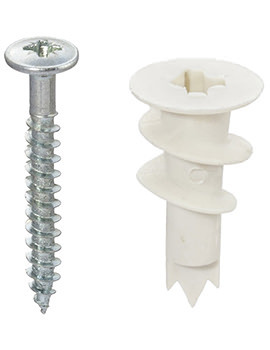 Drywall screws are used to hang drywall but are now used as multi-purpose fastener. They can also at times replace wood screws, but they also have their limitations. Here is how the two compare. 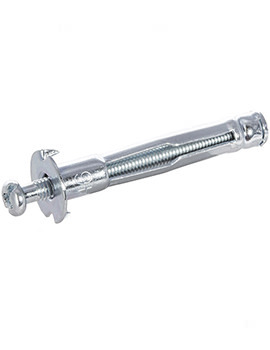 A drywall screw is used for attaching drywall to a studwall, metal or wood and has coarse or fine thread. Coarse threaded ones install better in wood and are used for wood frame walls. For metal studs, fine threaded models are a better choice. 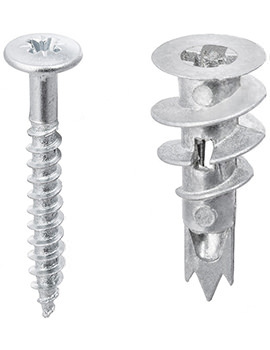 Drywall screws come completely threaded, are self-threading and can be fixed without drilling a pilot hole as the sharp point at the working end can be pierced into the drywall. Wood screws secure pieces of wood together or for attaching hinges, handles, and other hardware to wood. A wood screw features a tapered body with coarse threads, and the upper part of the shank is smooth. Unthreaded portion increases the capability of the screw to hold the wood pieces together. Newer wood screw models come with fully threaded shanks, allowing them to be installed without a pilot hole for softer wood. A pilot hole is often drilled when installing a wood screw, especially for very hard wood when there are chances of splitting. Wood screws are stronger than drywall screws and have a tendency to bend before breaking. On the other hand, drywall screws are hard, more brittle compared to wooden ones and have greater chances of snapping off under excessive lateral pressure. Wood screws are more expensive than drywall screws, especially where screws offer corrosion-resistant coatings or custom heads. Drywall screws are used almost daily whereas wood screws are used on a much lesser scale for uses such as furniture construction.